The number of diabetic patients is now increasing every year. This is hereditary and also due the changing lifestyle of the people. Diabetes is a medical condition in which there is a high level of sugar in the blood. It can happen because the pancreas fails to produce insulin or due to the cells of the body not reacting to the insulin that is produced. Once considered as a fatal disease, it is now possible to keep it under control and maintain normal levels of sugar in the blood by taking insulin and following a strict diet that is specially made for diabetic patients. The diet for diabetic patients must be very effective in controlling blood sugar and at the same time keep the patient healthy and well. The main aim of the diabetic diet is to include food items and beverages that can maintain the level of sugar in the blood. In diabetics the insulin produced by the pancreas cannot regulate the bold sugar level. So they must always consume food that contains sugar in very low quantities. This way they can control the sugar levels and remain healthy. Some foods we consume are high in sugar and calories while others are low in calories and sugar. So a diabetic must have a proper knowledge about both types of foods. This way they can avoid foods that are rich in sugar content and take only those foods that are low in calorie and sugar content. In the diet chart below we discuss some of the healthy foods that are good for the diabetics. You can remove some food items from them or add some you prefer according to your choice. But is t is recommended that diabetics take food that is low in sugar. Breakfast is an important meal of the day for all people. Diabetics, particularly, must not skip breakfast no matter what happens. An ideal breakfast for a diabetic must be low in sugar and also provide the person with enough energy for the whole day. Half a cup of oatmeal. This makes a healthy addition to the breakfast. Most of the people are hungry by the time they have lunch and they tend to consume more food than it is necessary. This is a habit which the diabetics have to control. They must have a lunch that is nutritious but in small proportions. The sugar content in them must also be lower. An ideal lunch for diabetics may consist of the following foods. One cup of vegetable soup with one 5 to 6 crackers. You can use any vegetable with low sugar content for making the soup. A turkey sandwich, which is made up of two slices of whole wheat bread, one ounce turkey, one table spoon mayonnaise and one ounce cheese that is low in fat. You may also have a small apple after the meal. Since dinner is the last meal you have in a day, it should also be healthy. But remember to have a light dinner as it is healthy for diabetics as well as other people. 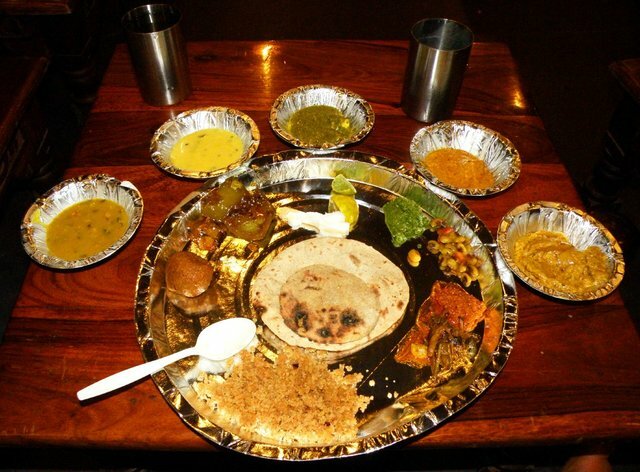 You must avoid taking heavy dinners as it may not be good for your health. Also make it a practice to have an early dinner. Never make it too late. An ideal dinner for diabetics may consist of the following food items. 4 ounces of broiled chicken breast that is spiced slightly. You can improve this diabetic plan according to your tastes and preferences. You may add some interesting food items that are low in sugar with this plan or remove some and replace them with other food items. Sometimes the sugar may get low in diabetic patients. In that case consult a doctor and have food according to his advice. Use applesauce for butter and cut down on the excess fats. This is a yummy recipe that is healthy as well. High in carbohydrates, low on cholesterol and fiber, this is a perfect dish for lunch. This is an interesting dish that can be had at any time to satisfy your hunger pangs. No sugar ice-cream is used in this to cut down on the carbs. For a boost of unsaturated fats, you can even use almonds. This is a sweet fruit dish that will not make you guilty of eating. It increases the anti-oxidants on your body and is low in calories as well. This one can be eaten as a breakfast or just a dessert. Since it uses mint to add flavor, it is low on the glycemic index. This dish has only 10 carbohydrates in a single serving. Low fat cheese, veggie sausage, and egg whites make sure you do not stock up on unhealthy fats. Use extra fiber rich veggies to make a healthy meal for your lunch, or just an evening snack. Diabetes does not mean you have to completely avoid all your favorite foods. You just have to eat healthy and have a check on your diet and routine. Everything will fall in to place once you sick to an ideal meal plan to suit your body.